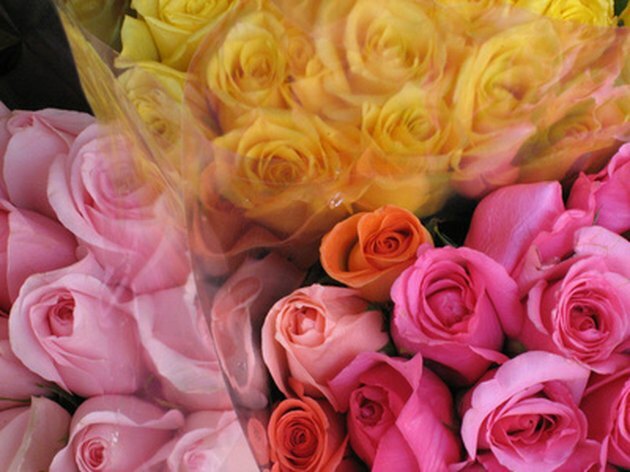 Cloning roses is the process used to grow a new rose from the cutting of an old one. 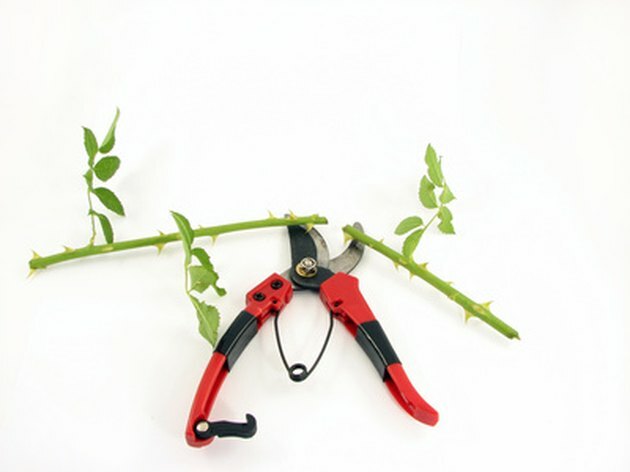 Typically a cutting or piece is taken from a fading rose bush or from a bouquet containing a variety that appeals to you, and you'd grow the same variety from that cutting. Cloning a rose is a long process that requires patience and attention to the cutting. Often clones begin to show progress in as little as a week, but some rose varieties can take much longer. 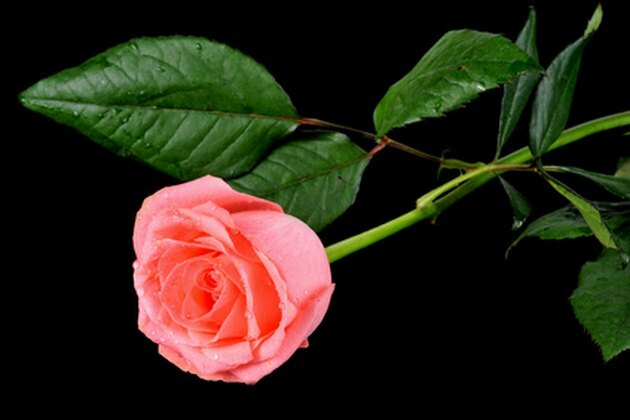 You can duplicate a type of rose by cloning it from a cutting. Ideal cuttings have bloomed fully and have several leaflets on the stem. 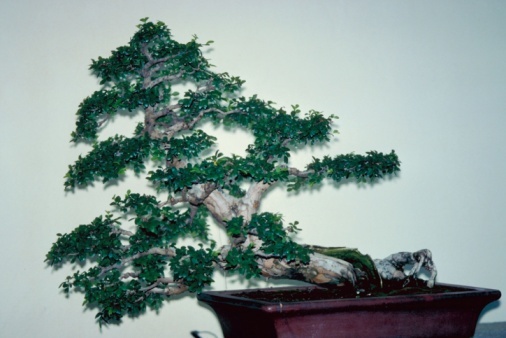 Remove your cutting from the plant below the point where the stem and main cane join (heel). An ideal cutting is 5 inches long with five groups of leaves (leaflets) and a spent (past bloom) flower. Wrap the cutting with moist paper towel and place it in a sealed bag. Add 1/8 teaspoon of Miracle-Gro and of baking soda (prevents fungus) and a few drops of dish soap into a 16-ounce spray bottle full of water and shake. Fold the top of a zipper bag down about 2 inches and pour three cups of potting mix in. Pour slightly less than a cup of water into the bagged soil and knead into the soil. Press the bagged soil down and poke a hole into the center of the soil with your finger. Remove the cutting from the paper towel and cut the stem about ½ inch above the leaflets at the top of the cutting. Leave one or two groups of leaves at the top of the stem and remove the rest. Remove bottom leaves, leaving one large or two regular sized groups of leaves on the top of the stem. Cut across the heel of the stem, or below the lowest point where the leaf stem joins the cane (eye bud). Dip the cutting into liquid rooting compound and place it slanted into the hole you made, pressing the soil firmly around it. Unfold the bag and spray inside with the spray bottle solution. Close the zipper from both sides, leaving an inch open. Blow into the bag so that it expands before closing it completely. Place the bag in an area with bright, indirect sunlight and watch for new growth. 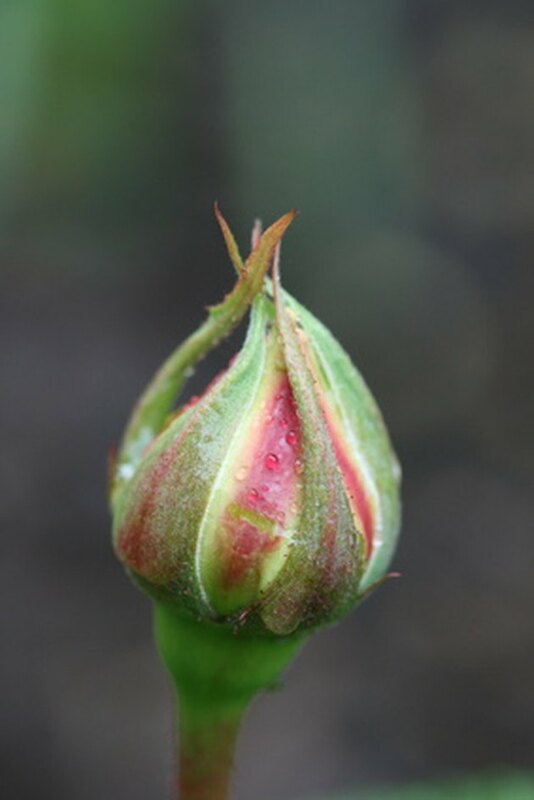 Buds may form early and must be clipped off. Remove dead leaves, bud, and fungus if necessary. If the soil cracks around the stem move it gently into the crack to firm it up. Spray inside the bag and re-inflate it each time you open it. Begin opening the bag (one inch for three hours the first day) when you see two or three new leaflets, growth at the top of the soil but no roots, or if you see new roots inside the bottom of the bag for several weeks. If it droops or the leaflets turn brown, blow up the bag and close it. Try again in a few days. Close the bag after three hours if the cutting is unaffected. On the following day double the size of the opening and the length of time you open it (2 inches for 6 hours). Continue opening the bag a little more each day for a longer period of time until the bag is fully open. Fold down the top of the bag once the bag has remained open for a full day with no ill effects to the rose, and leave it open for four days. Spray once each day after opening. You'll begin to see roots forming at the bottom of the bag indicating the rose is ready to pot after about 10 to 30 days.